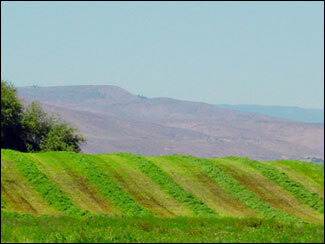 Burkeridge Farms, located in the middle of the lush Kittitas Valley, is world renowned for its quality Timothy, Alfalfa and Orchard hay production. Our farm sits on 30 beautiful irrigated acres of rich loam soil, allowing us to grow high-quality Orchard grass hay for our clients’ horses. Our production on a yearly basis is approximately 120 tons. 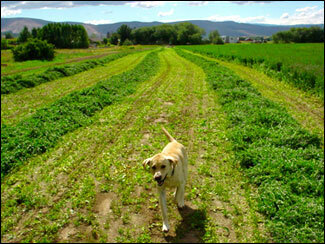 2011 was our last year for alfalfa production since we converted our west fields to orchard grass. Please contact Richard Burke at either 509-674-6492 or rich@burkeridgefarmsllc.com early in the season to reserve your hay order. 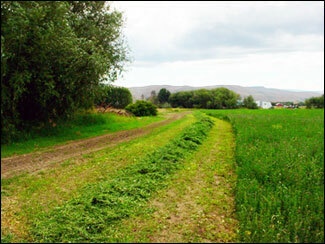 We also broker hay from surrounding farmers. 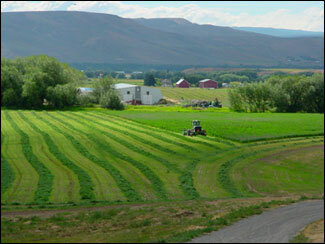 Use Burkeridge Farms for all your hay needs from selection to delivery! Delivery and loading services are available on a per ton basis. Please call with any questions you may have and be sure to reserve your hay for the upcoming season!